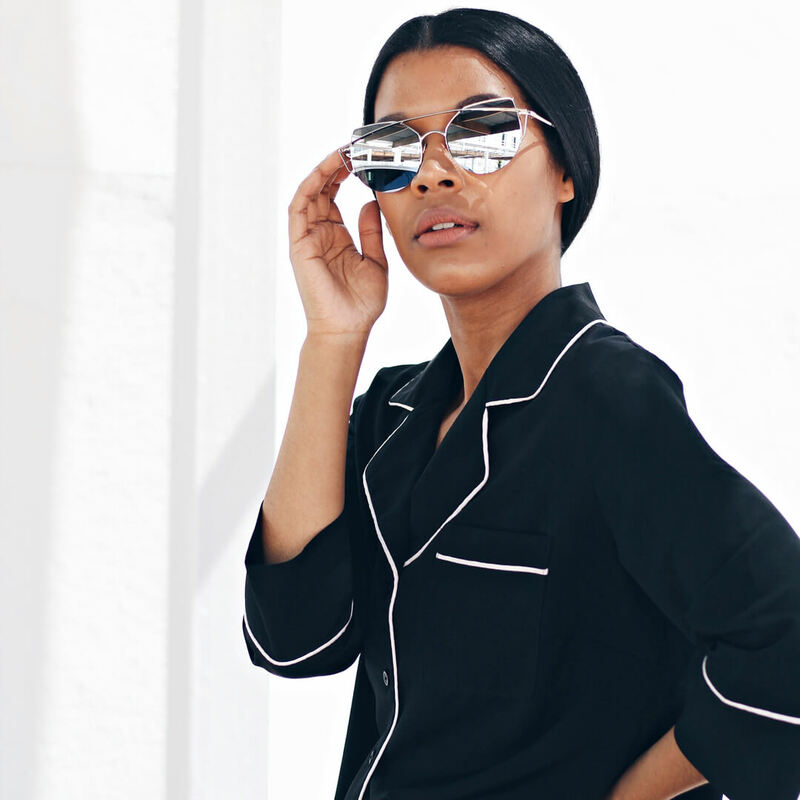 Five times sunglasses saved Monday – and the eyewear styles that got us through it. While admittedly to hide that inevitable eyeroll when someone says “Mondays are the best day of the week” (sorry not sorry), sunglasses really have the ability to get you through everything from a 2 hour traffic jam on a Monday morning, to realizing your favourite takeout spot won’t be open again until Tuesday. Alas, we took it upon ourselves to save Mondays by sharing with you in today’s Weekly Edit, our 5 eyewear styles that have proved valiant against those dreaded dreary Mondays. Believe it or not, sunglasses are there to do more than just hide tired eyes, and remnants of a weekend well-spent. While protecting your eyes from all sorts of danger, (the glaring sun, incessant wind/dust, and even people you’d rather avoid) our square reflective shades with blackout lenses are the quintessential pair to channel fashion icons like Audrey (Hepburn, of course) and Karl Largerfeld. Shop our black Round Retro Shades HERE. 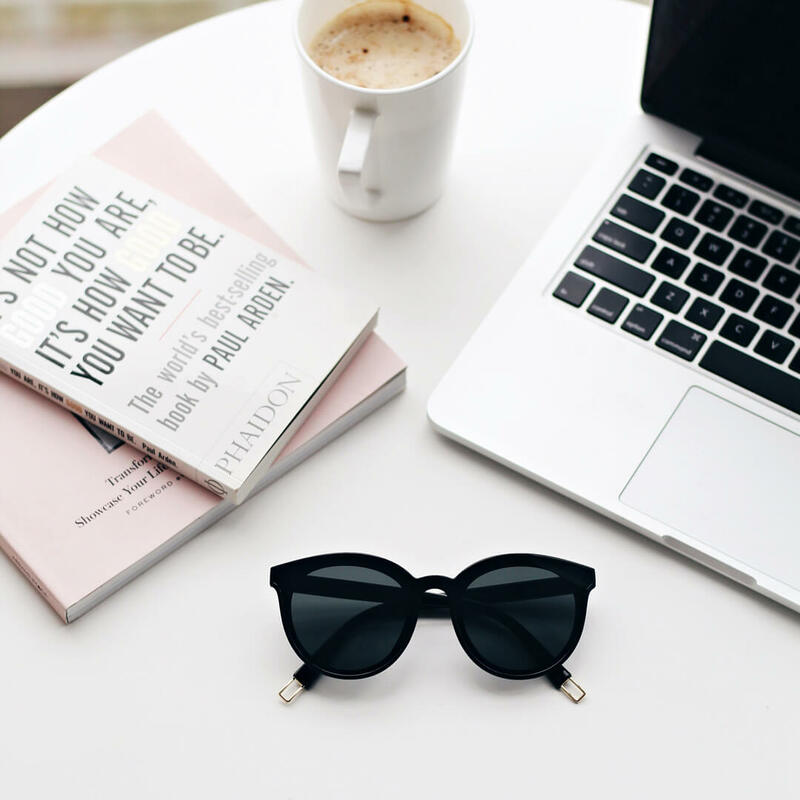 According to several studies, wearing sunglasses has proven to evoke a sense of mystery by the wearer- some studies even suggest that sunglass wearers appear significantly more attractive to several focus groups than those without. Though we can’t quite explain the science of it, we definitely feel a whole lot better in our Silver Chic Cutouts, even if we did leave the house wearing a shirt with coffee spilled down the front. Shop our black Square Reflective Shades HERE. With our quirky cool selection of assorted blue lens eyewear and opticals, you’ll be able to see blue Mondays in a whole new light. Whether it’s our blue framed opticals or reflective blue lenses, we’ve got the best to choose from. Shop Iamtrend Blue Trendy Opticals HERE. Slow Mondays make sense to us, which is why we had to include our Tortoise-Shell Kitty Shades. Paired with a tailored power suit and black mule slip-on, you’ll have everyone wondering just how you managed to make Mondays cool again, and at a fraction of the pace as your colleagues. Don’t be last to shop our ever popular Tortoise Shell Kitty Shades, get yours HERE.